Last we left things (see Lazy Saturday), I was bracing myself for a rather chilly foray into Kingston to run a couple of errands before heading over to A’s for red wine (yes more), a home-cooked dinner and some girly telly. 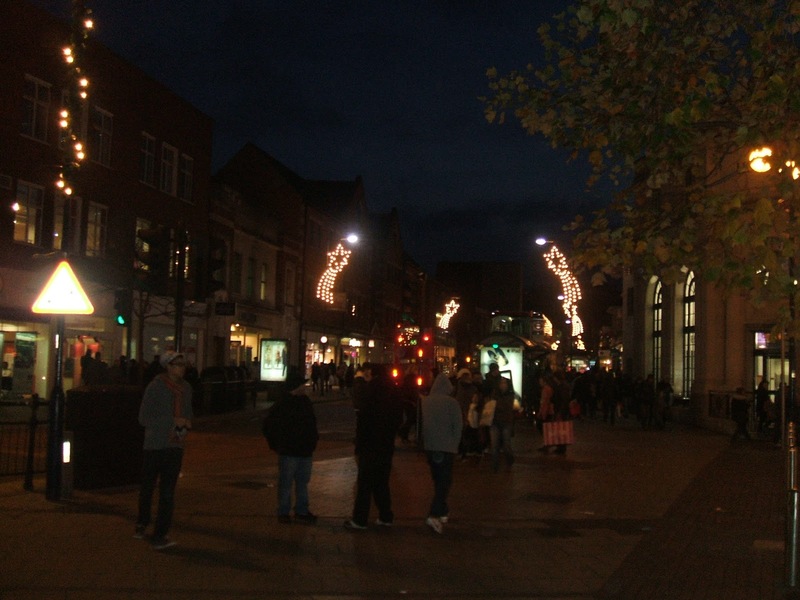 So I set out just after 4pm (you know, just after our ‘sun’ has gone down and it’s, well…dark), crunching down the sporadically-gritted path to the bus stop, resolutely telling myself that a) it was not as cold as my nose was telling me it was, b) it was ok not to walk all they way into Kingston today because it was cold/it was dark/time didn’t permit and c) that I would feel much better with these errands off the to-do list. 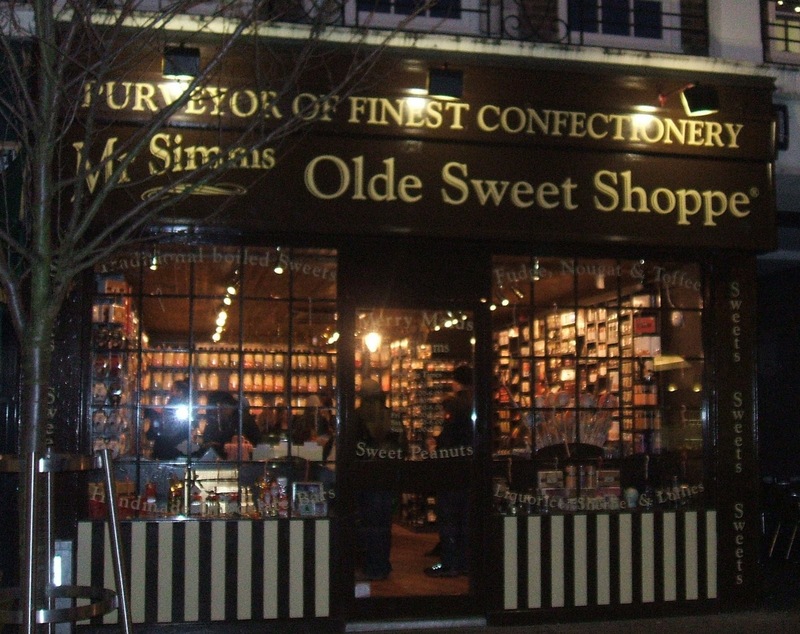 …and there’s a gorgeous new old-fashioned sweet shop in Castle Street (where I spent about 20 minutes wondering around in child-like amazement). Buoyed by all this festive cheer (and a reunion with my phone which seemed to go quite smoothly﻿), I crunched on to A’s who had promised an evening of home-cooked lasagne and mooching on the couch, curled up under blankets and just feeling all warm and toasty. 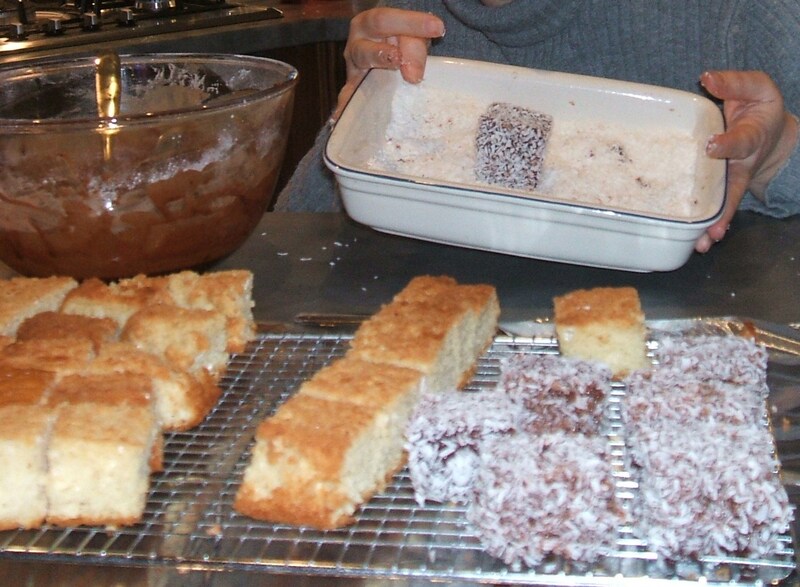 She was making lamingtons when I got there! Eeeeeeeeeee (aka squeal of excitement)! 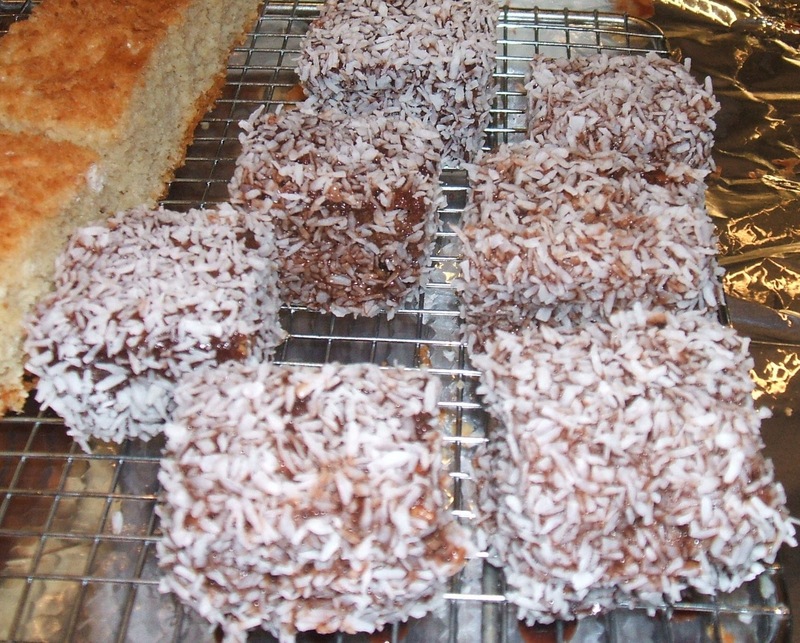 Delicious little chocolate-dipped, coconut-covered bundles of sponge-cake yumminess! I think Christmas may have come a little early (27 days actually) this year! 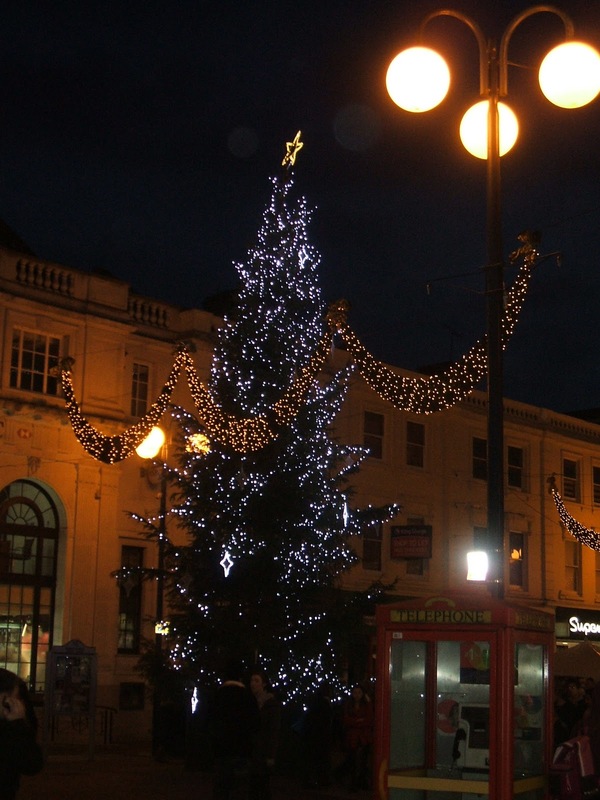 This entry was posted in Expat moments and tagged Bus, Christmas, cooking, Kingston, kingstonpeople, lamingtons, weather by Kym Hamer. Bookmark the permalink. VW – 5 eh? If I didn't think they would have all gone by now, I'd pop in on the way home from work tonight!!! Kate – they had proper Australian licorice and little bags of chocolates and jars and jars and jars of pretty lollies everywhere…I'm not into sweets very much but it was quite awesome! Love the old-fashioned sweet shop. Pear drops? Sour apples? Coconut kisses? Mmmm….. You can get a bit fed up with Sour Patch Kids.